It was my friend’s Great Gatsby themed hen do a couple of weeks ago, and so I finally read this ‘Great American Novel’ in the name of research! This book had an effect on me which not many have, where it’s not so much the reading of it that I found interesting, as the aftermath. A similar thing happened with Story of O. I finished The Great Gatsby over a week ago, and yet I’m still thinking about it. And the more I think about it, the more I like it. I almost want to read it again to take a closer look at the words, and read more deeply into the many significant metaphors that I may not have noticed first time round. For such a short novel, there are so many themes. It’s a quick read, but certainly not a light one. The first thing that struck me whilst reading was the writing. I love how Fitzgerald conjures up an atmosphere. My favourite line is when the narrator, Nick Carraway is at one of many drunken gatherings. I love how perfectly he describes that whirlwind feeling of being drunk. Having recently moved close to New York to get into the bond business, Nick becomes reacquainted with his cousin Daisy Buchanan who lives with her boisterous husband in the wealthy area of East Egg. Nick lives in the not so prestigious West Egg, which represents the self-made rich, the rather looked down on ‘new money’. Nick’s next door neighbour is one example of the garish and flashy aspects of West Egg. The mysterious Mr Gatsby’s mansion is always alive with the coming and going of hordes of guests attending his weekly grand parties. One day, Nick is given an invitation to one of these parties. Possibly one of the only people to have actually been invited, Nick turned up asking after his host. It turns out that most people hadn’t even met Gatsby, and giving up on it, Nick starts drinking. Again, we are treated to wonderful drunken party, where wild rumours and gossip about Mr Gatsby fly about. This all leads to a brilliantly written introduction to the ‘great’ man himself. The main storyline in The Great Gatsby is Jay Gatsby’s all consuming love for Daisy Buchanan, who he’d had a brief romance with five years earlier. This is not a love story in the usual sense. And that’s another reason I liked the book. The more we learn about the intriguing Jay Gatsby, the less we seem to really know and the more his persona starts to unravel. His past is shady, as is his present. When he talks about Daisy, it is apparent that he is more in love with the idea of her. This is when we realise that the relationship is doomed from the start. It all sounds a bit depressing and hopeless. The fact that money doesn’t buy happiness, that greed doesn’t give you friends. The saddest part of The Great Gatsby is that out of all the people that come to his parties and enjoy his bootlegged alcohol, when it really matters nobody is there for Jay Gatsby. Everyone turns their backs on him. It’s such a horrible look at society, and reminds me of the celebrity culture of today. Set in the early 1920s, The Great Gatsby shows a different perspective of an era which I have always imagined as very glamorous and fun. It’s almost as if the mask has been ripped off, showing a sordid, shallow society underneath. However, it’s still fun to dress up, as I found out at the hen party, which was fabulous by the way! If you have not yet read this classic, you can get your own copy by clicking on the picture below! 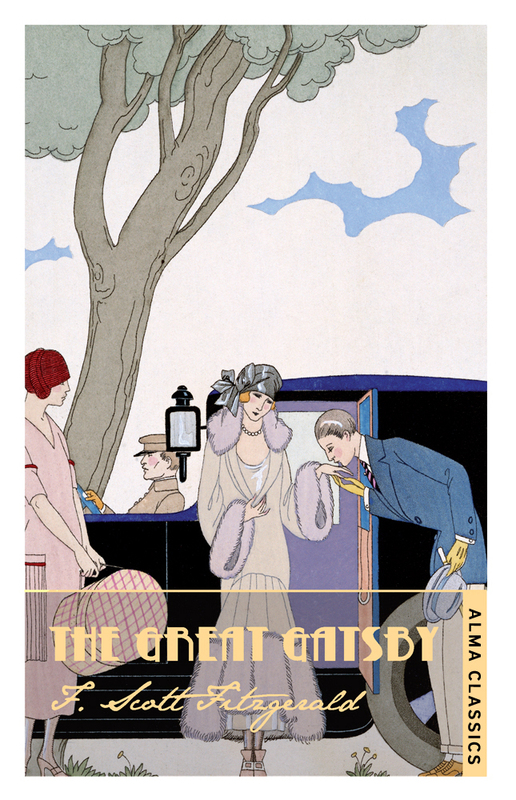 Amazingly, being a junior in high school, we haven’t read “The Great Gatsby.” We did watch half of the 1970s version with Robert Redford, which was dry toast compared to Baz Luhrmann’s lavish, enormous American epic about the myth that is Jay Gatsby. With out a point of reference, I can tell you I wholeheartedly loved this film, with it’s gigantic scope and rousing performances that seem extracted from the roaring 20s themselves! I only read the book in my late twenties, and can’t believe I hadn’t read it before. Although, I suppose British schools are less likely to cover it. I liked the Baz Luhrmann film. I think it’s a hard book to put into film and think it was tackled in the right way. I haven’t bothered with the Robert Redford one, because I’ve heard similar comments to yours and thought it not worth bothering with! First reading Gatsby I didn’t grasp all the nuances, I was thicker as a school kid though…years of having it at the back of my mind slowly seeping in has really showed me the understated genius of the whole thing.